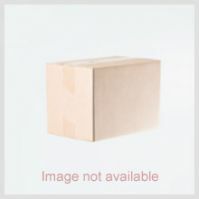 Compatible with Android, Window, Linux, Mac OS . 2.4Ghz Wireless with Nano USB Receiver with Nano USB Receiver Air Mouse with Anti- Vibration Technology. QWERTY Keyboard, Support Multi Platforms. 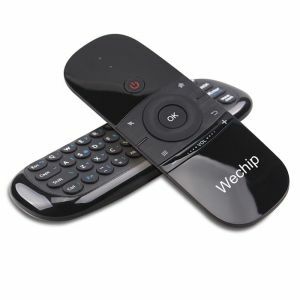 Remote Control Specially Designed for Android Deices with Rechargeable Li-ion Battery Compatible with Android, Window, Linux, Mac OS. 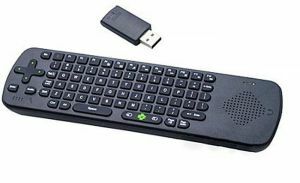 Mini air mouse, wireless keyboard and IR remote, perfect for your PC, HTPC or smart TV box. 2.4G wireless connection, 10M operating distance.USB receiver, compatible with any device with USB port, includes PC, TV, Set top box, game players, media players, etc. Free Space Air Mouse. PC100 is based on Gyroscope Mems system, providing new style of MOUSE experience. With Anti-shake algorithm, PC100 provide accurate and easy control of the mouse cursor.With built-in lithium-ion battery, can be charged through USB cable.